Enjoy fresh soup the easy way with our organic soup bag. 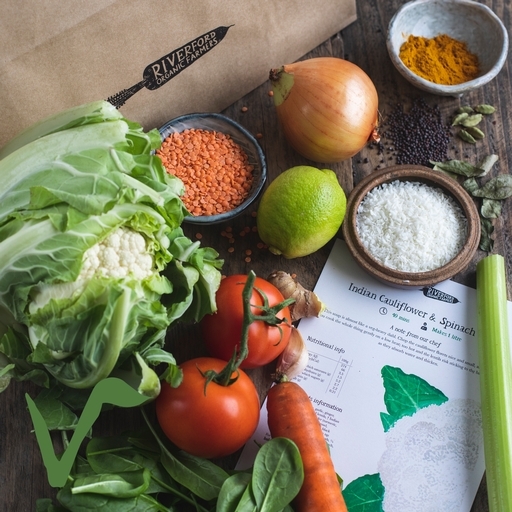 Every week, we’ll send you an inspiring recipe and measured quantities of all the organic ingredients you need, including our own fresh veg, aromatic spices, and sometimes crunchy toppings. From classic minestrone to Indian cauliflower and spinach, the recipe changes every week so you’ll never get bored! Each bag makes at least one litre of soup (about 2-3 generous bowlfuls). From time to time, we may need to make a swap in your bag to make the most of what is at its seasonal best. Prepared in a kitchen where celery, eggs, fish, gluten, milk, mustard, nuts, peanuts, sesame and soya are also handled.